Ask the Expert: What Do I Need To Know About Cachaça? If you ask your average person what cachaça is, their answer will likely vary somewhere between “I have no idea” and “Some kind of rum.” The Brazilian spirit has started to find its way into more and more cars and liquor stores in the United States, but most people aren’t exactly sure what it is, or what to do with it. Cachaça gets lumped in with rum a lot because like rum, its made from sugar cane. When it comes to your standard rums, however, those are typically made using molasses. Cachaça on the other hand is made from fermented sugarcane juice. And while you’ll see rum come from spots around the world, you’re only going to get cachaça that comes from Brazil. Up until four years ago, you’d sometimes see cachaça labeled as “Brazilian rum,” however now by law all cachaça entering the United States has to be labeled as such. 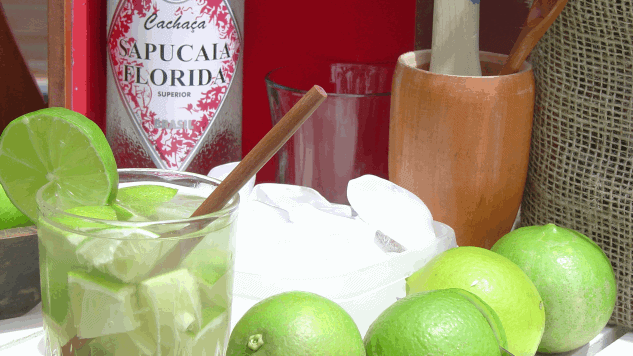 While cachaça is typically sweet like rum, it can also have hints of spice and fruit. And while many rums are aged in oak barrels, cachaça can be aged in a variety of different types of wood, which can give cachaça a unique twist. For instance, Novo Fogo, one of the largest distributors of cachaça to the United States ages several of its cachaça in oak, but also uses zebrawood, brazil nut wood, and Brazilian teak wood barrels to give its cachaça a unique flavor. As an example, the distillery’s Graciosa is aged for two years in oak barrels that it’s repurposed and recharged from a bourbon distillery in the United States, and then finishes the spirit for 18 months in castanheira do Para (Brazil Nut) barrels. The result is a vibrant, creamy cachaça that has a nose of orchids and pecans, has notes of cherry custard on the palate, and then finishes with notes of soft clove and star anise. The most common type of cocktail you’ll see cachaça in is the Caipirinha, a mixture of just un-aged cachaça a little bit of sugar, and lime. 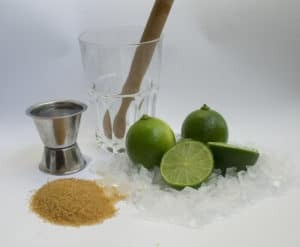 That said, bartenders have started to experiment with the cocktail, and you’re likely to see it in a lot more cocktails in the future, especially ones using some of those unique aged flavors.